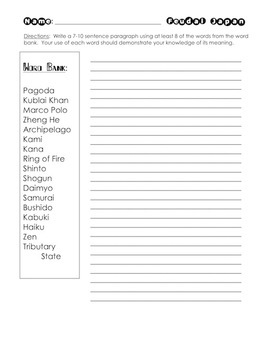 These 11 worksheets are used in my AIS class and for review. 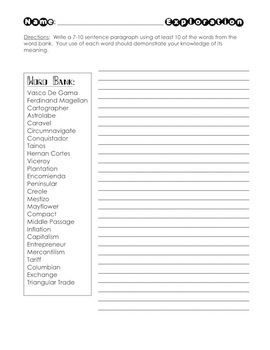 I ask students to write me a full paragraph using a number of vocabulary words from each unit (writing should reflect knowledge of the definition of the term). 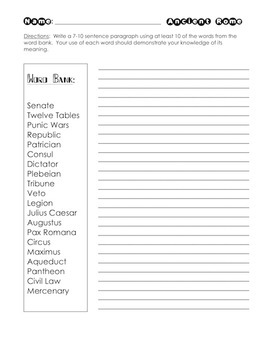 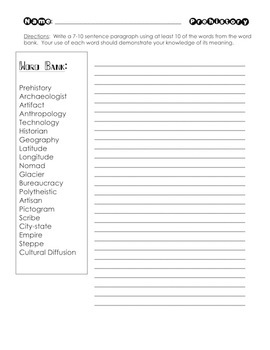 It helps students review key terms by putting them in their own words and making a concrete paragraph about the topic.